Educators have long regarded Wikipedia with suspicion; in many schools, citing Wikipedia is not allowed in essays and academic papers. Nevertheless, I have personally found Wikipedia to be a reliable source of information. Although it rarely provides exhaustive coverage of a topic, it provides a good means to become familiar with a new topic or find links for more detailed discussion. It is clear that many other people find Wikipedia to be useful as well, as Wikipedia has grown to have more than 4 million articles in English and almost 20 million registered user accounts. Wikipedia’s traffic has also grown rapidly, becoming “the Web’s third most popular news and information source, with more unique visitors than Yahoo News, MSNBC, AOL News, and CNN” (ComScore, 2006). It is now “12 times larger than the print version of the Encyclopedia Brittanica” (Kapila and Royal, 2009). Although the Encyclopedia is often hailed for it’s reputation for accuracy and thoroughness. However, research in 2005 studied the accuracy of science articles in both Wikipedia and the Encyclopedia Brittanica, and found that Wikipedia was almost as reliable, and not a huge discrepancy in errors as expected (Giles, 2005). Perhaps this evidence supporting the quality of Wikipedia articles will lead to it holding more credibility in the future. Despite its growing size and popularity, Wikipedia has been the subject of considerable controversy. For example, a recent story in Salon detailed the activities of a malicious Wikipedia editor who used his anonymity to slander his academic rivals and carry out real-world grudges. Wikipedia has a comprehensive code of conduct, but the site’s decentralized, democratic, and anonymous nature makes it difficult to detect conduct violations and enforce meaningful consequences. For example, “sock puppet” accounts are commonplace, in which a single person creates multiple collaborating accounts to create the impression of consensus around a topic. While such nefarious tactics rarely impact high-traffic articles that have many editors watching them, I’m concerned that lesser-visited parts of the site might be more vulnerable to malicious editors. 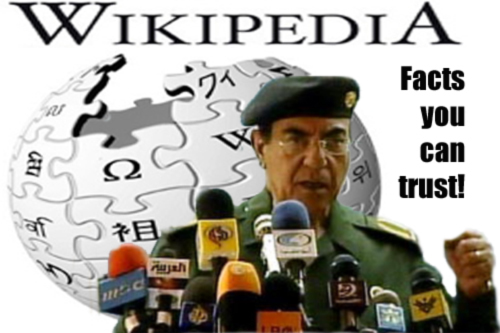 Despite these concerns and its controversial history, Wikipedia is likely to remain a popular and widely used reference. Kapila, D. and Royal, C. (2009). What’s on Wikipedia, and What’s Not…? : Assessing Completeness of Information. Social Science Computer Review. 27, 1. pp 138-148. I wonder how accurate Britannica was when it was in its early years of publication? How many times as Britannica had to print updates and full revisions based on errors they found in their own articles? Hmmmm, something to research I think! If only there was a reliable source of information to check. I do agree with you – Wikipedia is here to stay. Maybe not in the world of academia, but the majority of people in the world don’t understand or have access to academia, just Wikipedia.